Is nicotine good for you? 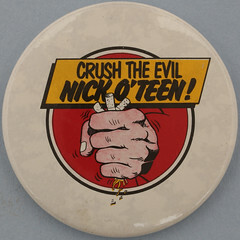 When I was growing up, Nick O’Teen was a villain so heinous that even Superman struggled to contain him. Created by DC Comics in 1980 as part of the US Health Education Council’s anti-smoking campaign, Nick O’Teen was a vivid warning to impressionable young minds on the perils of tobacco. I never did take up smoking. After such clear childhood messaging, it was something of a surprise to hear that e-cigarettes, which contain nicotine, are to be licensed as medicines in the UK from 2016. As medicines are generally understood to be products that improve or at least stabilise our health, one might take this to mean that e-cigarettes, and the nicotine within, are now considered good for you. In fact, the rationale for licensing is not so positive. With e-cigarettes becoming more popular, the Medicines and Healthcare Products Regulatory Agency (MHRA) has become concerned at the poor quality, efficacy and safety of some brands. Licensing allows for tougher quality regulation. Nevertheless, the move raises the question: will people be misled by one truth, that e-cigarettes are (from 2016) medicines, into forgetting another truth, that nicotine is a highly addictive substance that…? That what? Is nicotine in fact bad for you? Not at all, it seems. It’s the tar and various toxins in regular cigarettes that makes them so damaging, not the nicotine. 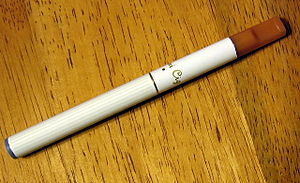 E-cigarettes don’t contain these substances. Nicotine was only ever bad for smokers in the sense that it made them want to inhale more tar. Mr O’Teen was cruelly defamed. Indeed nicotine even has some health benefits, with possible applications in treatments and therapies for Alzheimer’s disease, Parkinson’s disease, ADHD and Tourette’s syndrome. So there’s one staggering truth: Nicotine is good for you (if you have certain medical conditions). But the competing truth is still valid: Nicotine is bad for you (if you become addicted to it and so keep smoking regular cigarettes). If you break your leg, or pick up an intestinal parasite, or suffer a stroke, diagnosis and treatment are usually straightforward. There’s a single truth about what’s happened to you, and therefore a clear recommended course of action. Not so with mental illness. The recent publication of the fifth edition of the Diagnostic and Statistical Manual of Mental Disorders (DSM-5) — after 14 years of hard work by the American Psychiatric Association — has reinvigorated an already passionate debate about the definition of mental illness. The DSM classifies mental disorders. It decides what is normal and what is abnormal. In America, it more or less dictates what mental conditions qualify for medical insurance cover or special school provision, and what treatment (drug) should be dispensed. It therefore is a tome of great consequence, and can be seen as a kind of bible of the psychiatric profession. It is, in its authority and effect, a form of Truth. But there are many mental health professionals who champion a different truth. The DSM classifies disorders based on symptoms not causes, largely disregarding the genetics and neuroscience that might explain why a patient is manifesting any given symptom. This is analogous to a biologist classifying birds, pterosaurs and bats in the same taxonomic group because they all have wings, ignoring the fact that those wings have evolved in three completely different ways, from three very different genetic stocks. Just as biologists recognise the fundamental difference between birds, reptiles and mammals, so some psychologists and psychiatrists are calling for greater recognition of the diverse biological causes that may lead to similar mental syndromes. Theirs is a very practical concern: how can the same drug be effective on completely different pathologies? Yet those biological truths — what’s physically going on — are currently in competition with the DSM truths that determine most of the financial and therapeutic realities of American psychiatry. Then there’s the question of whether someone is actually ill at all. If your condition’s in the book, you’re ill; if it isn’t, you’re fine. As the DSM is updated, truths about illness are changing. Since May 22, a child throwing temper tantrums may be considered to be afflicted with disruptive mood dysregulation disorder; a newly bereaved spouse may be suffering from major depressive disorder; and incorrigible binge eaters may well be mentally ill. On the other hand, anyone wishing to change their gender is no longer considered to be suffering from a mental disorder (gays were similarly reclassified as normal in 1973). You don’t have to be transgender to feel uneasy at the somewhat arbitrary way the APA gets to decide whether or not you’re ill. “At a certain point, you can say everybody’s sick,” argues Professor Ronald Kessler of the Harvard Medical School. “The question is, where do you draw the line.” You could say that… or you could find a more useful definition of the word “sick”. With psychiatrists, biologists, psychologists and doctors all taking different views on the question of what defines a mental disorder, competing truths in this field are bound to proliferate. The question is how many millions of tablets will be inappropriately prescribed, and how many thousands of “worried well” will take to their beds as a result.